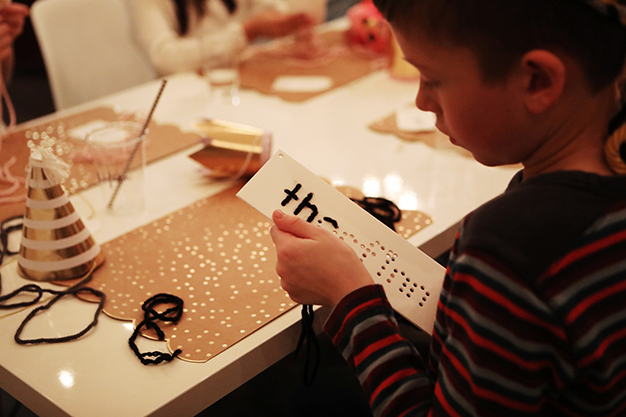 Throw your kids their very own craft themed birthday party! 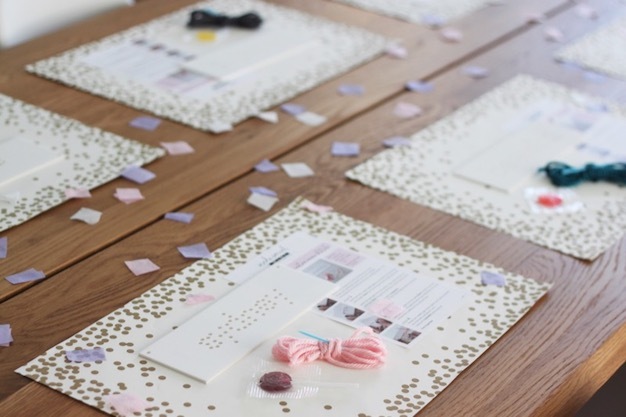 You bring the cake, we supply the craft (and confetti!). 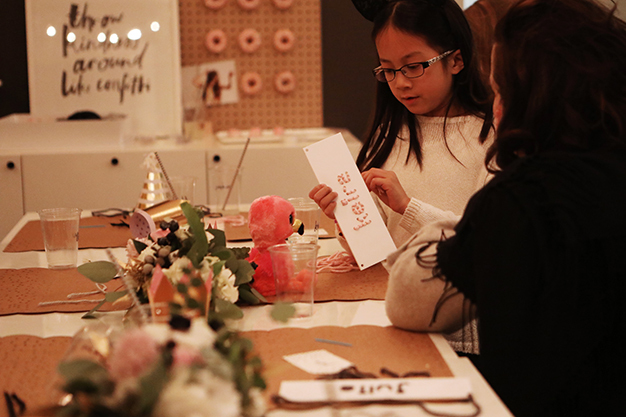 Each party kit comes with custom designed acrylic names for up to six people (Need more friends on your list? 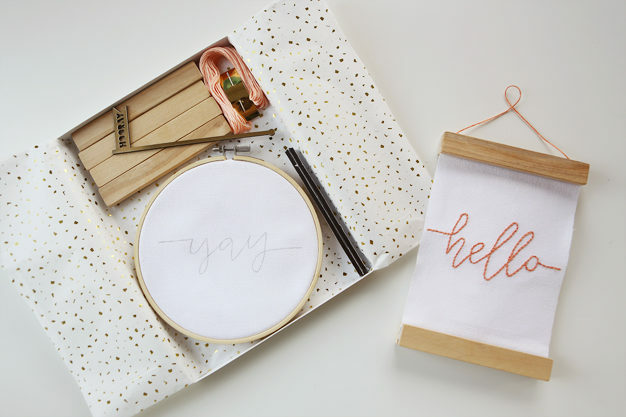 Email us for a custom order!) and includes plastic needles, yarn colours of your choice, written instructions, as well as a link to video tutorials. 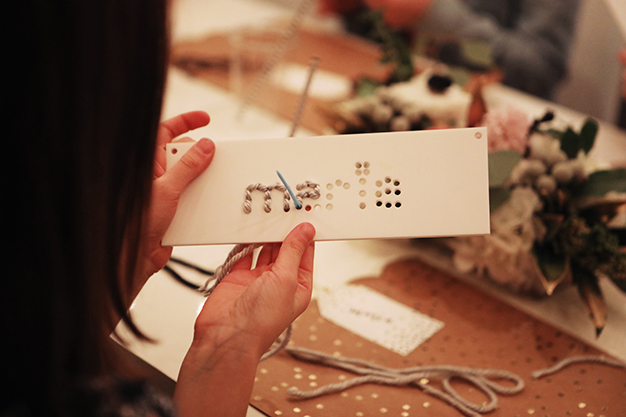 We’ll walk your guests through the steps of a simple backstitch to create their very own art to proudly hang on their wall or stitch over and over again — it’s great practice for hand eye coordination and a fun, interactive party activity! 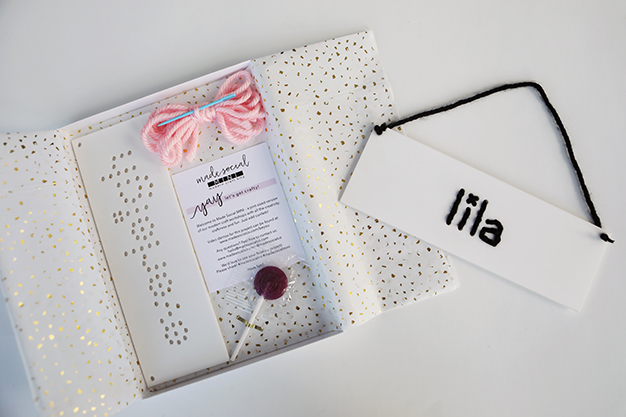 Due to the custom nature of your kit, please allow 2 weeks processing time. 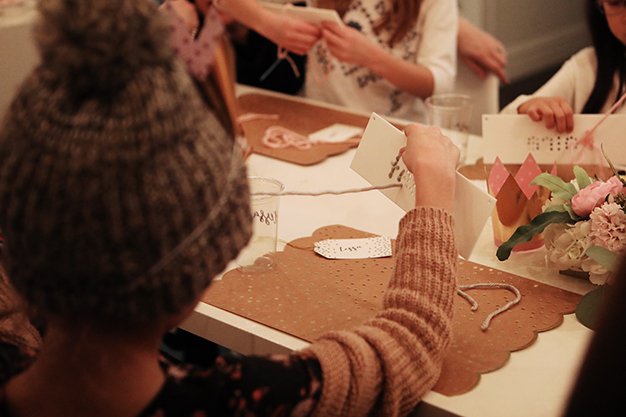 *Read our latest blog post featuring Lila’s Craft Party! 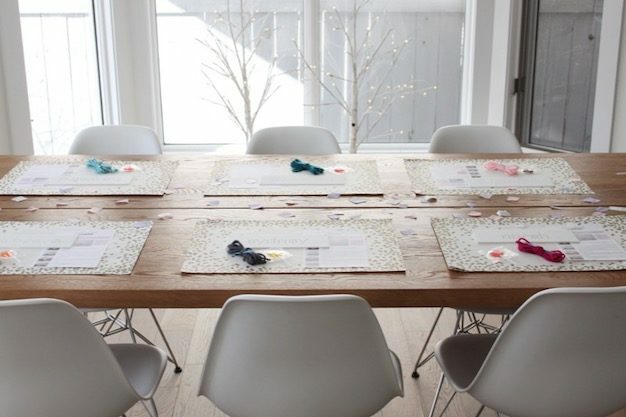 The $150 price includes everything you need to host your very own Made Social for up to six people. 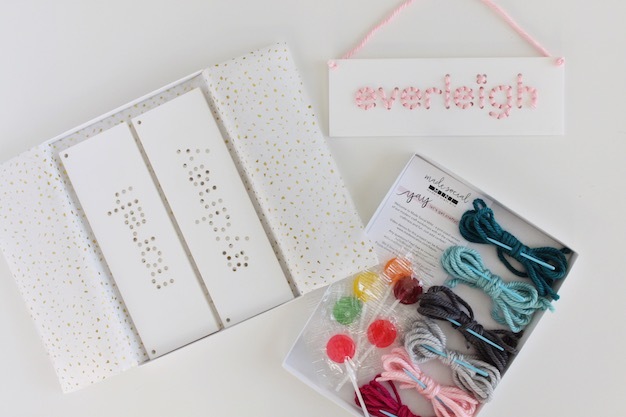 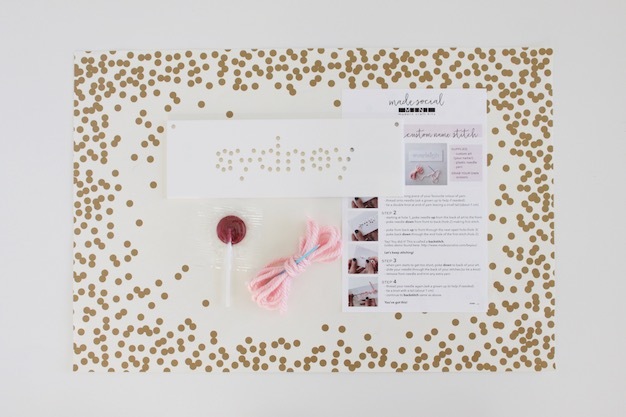 Each party kit provides each guest with custom designed acrylic name or word (up to 9 letters), plastic needle, choice of yarn colour, written instructions as well as a link to video tutorials.